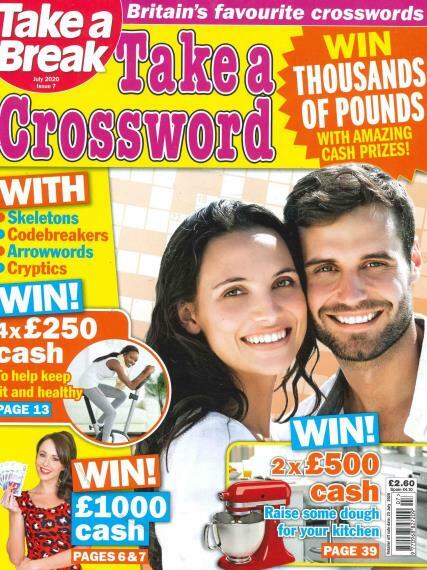 Take a Crossword is Britain’s highest selling crossword puzzle magazine. It is filled with the best crosswords. It includes a 5 minute quick crosswords to general crossword puzzles, also involving cryptic puzzles. It is the perfect magazine for all crossword fans. It gets you the best blend of all kinds of puzzles, for everyone, starting from beginners or amateurs to the more capable crossword enthusiasts. What is the primary attraction of a crossword puzzle? It takes immense knowledge and particularly general knowledge to solve a puzzle and one you have solved it, you learn something new. Crosswords help you learn a lot about the world through the various questions and fields involved. Crossword puzzles not only improve your knowledge, but they also help the mind enhance the thinking skills. Twisting around a question and working on it is more like mental gymnastics, except without the risk of physical injury! These crossword puzzles are best for you, whether you want to pass some time, or you are a regular enthusiast! With a wide range of puzzles, and a bright appearance, this magazine has become one of Britain’s highest selling magazines, providing ample scope for all you crossword lovers. There are prizes for correct entries of crossword puzzles, giving the readers an added incentive to work their brains on these interesting crosswords. Prize money extends up to 5000$, coming with over 80 crosswords every issue! I enjoy the magazine and do most of the quizes except for skeleton. I really enjoy the codebreakers.